Pueblo Criminal soon in Costa Rica!!! Now it´s time to fly! 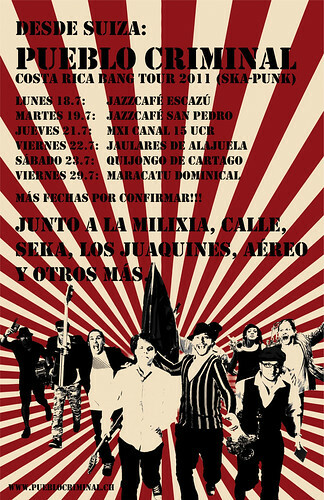 We´ve been waiting a long time to skank in Costa Rica on our Bang Tour 2011! Pueblo is now ready for the trip to our drummer Neyman´s homeland. All is prepared and we are shure to have a damn great time there! Check out our promotion clip and keep on rocking! See you soon and "mueve la cadera", peace!